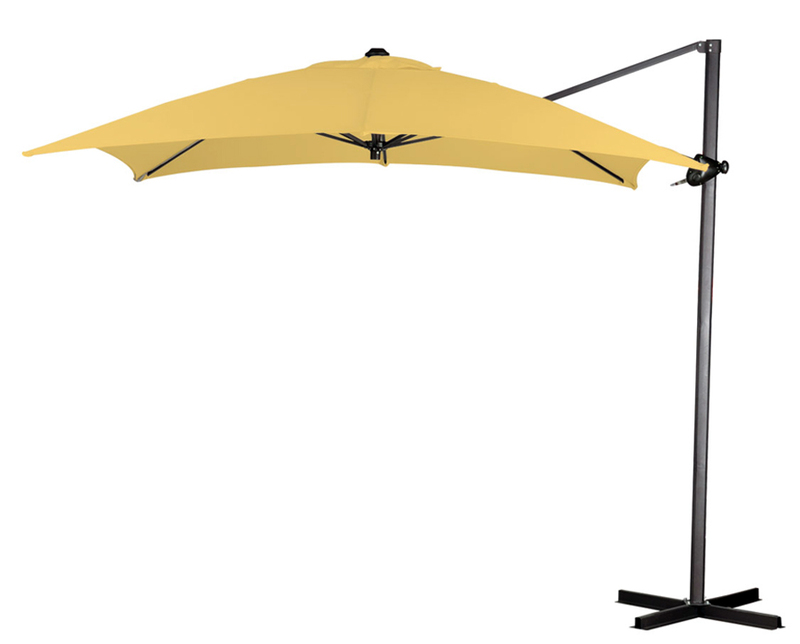 This California 8 foot Square Cantilever Umbrella is an exciting new cantilever umbrella that can add portable shading to most any outdoor space. The umbrella features a large 8 foot square umbrella canopy that can tilt and rotate 360 degrees to follow the sun's pattern and provide shading all throughout the day. For stability this square canopy is supported with an extra strong 2 inch diameter aluminum pole, eight 2mm steel ribbed framework and a standard base with pre-drilled ground anchor holes. Similar cantilevered umbrellas use smaller diameter aluminum ribs in their frame. This steel market umbrella is a superior designed umbrella that will stand up to the rigors of outdoor use. 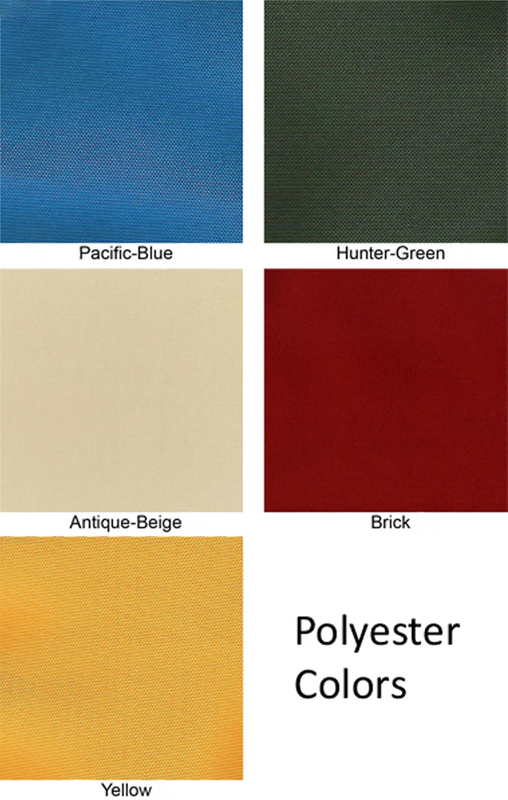 The square shaped umbrella canopy comes in a 8 by 8 foot, solution dyed polyester in your choice of five distinct and affordable color choices that please the eye and especially your budget. Due to the weight of this umbrella 100lbs of free weight is recommended on the base if the frame is not anchored to the ground.